This is by far one of my favorite dog stories coming from a time that my family owned a restaurant. My trusty dog and I lived in a small apartment above the hustling eatery and we both had the time of our lives while staying there. My beloved canine was privy to many rib bones and other treats from the staff along with regular visits from all of our friends and family. One morning, I was sitting behind the desk in the upstairs office with my dog sleeping at my feet when our chef came in to discuss the daily special. My precious pet rose from her slumber, slowly walked around the desk and gingerly stood on her back legs to greet our chef. “There’s something wrong with my dog,” I worried aloud. “Why would you say that?” questioned the chef. I was right. I quickly checked for signs of dehydration, performing the “quick pinch test.” Using your thumb and forefinger, gently grasp a piece of their skin and then release. If it doesn’t quickly return to it’s original position, there’s trouble brewing. This was my first visit to this particular veterinarian since we had recently moved to the area so I didn’t know what to expect. It was a rural setting and when I was greeted by a three-legged dog outside and a blind cat behind the receptionist’s area, this was definitely the right choice. The veterinarian confirmed my initial diagnosis of dehydration and informed me she would need to run some more tests. An x ray revealed that my dog had consumed a large mass of fibers, likely my canine had pull on a string from the berber carpeting inside the restaurant and kept eating. The vet recommended surgery and I was mortified by the thought of my dog going under the knife. Fortunately, the kindly veterinarian suggested another, less invasive alternative she wanted to try first – pumpkin. 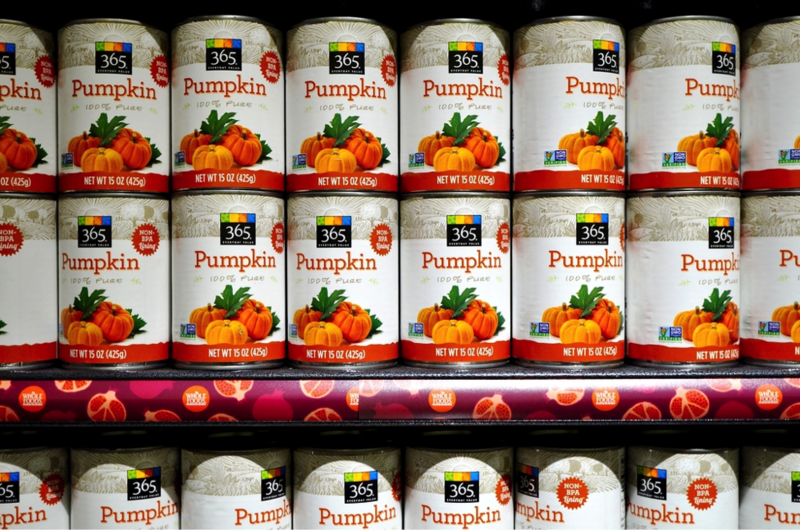 She led me to a cupboard where there were dozens of cans of solid-pack pumpkin, the kind used to make pies, neatly stacked inside. 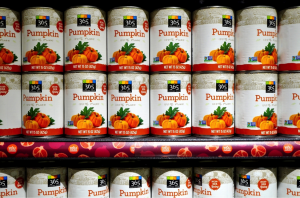 Unbeknownst to me at the time, pumpkin is not only a healthy snack for dogs, it’s commonly used as a digestive aid and can help them to “pass” something they may have accidently ingested. I was told to go home and wait for a call. A few hours later, I received a call from the vet herself that my dog was perfectly fine and the mass was no longer inside my animal. Pumpkin had saved the day and my dog from a painful, expensive and unnecessary surgery. I went to pick up my precious pooch and thanked the doctor profusely for her care. One might expect a more unscrupulous doctor would have simply opted for the surgery to make a quick buck, but not this veterinarian. I guess there are a couple of “morals” when it comes to this story, the first being to choose your vet very carefully. The second is to keep a close eye on your pet at all times and take them to the doctor if they are behaving unusually or out of the ordinary in any way. As a last piece of advice, my pet’s doctor told me that had my dog been in worse condition, weaker and more dehydrated from a delay in bringing the animal into her office, the outcome could have been different. The good doctor may have had to perform the surgery immediately if my animal was too weak to eliminate the mass herself.